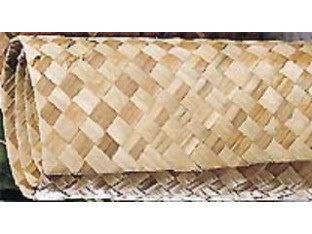 TikiMaster offers luahala mat rolls in various sizes and styles. I love the look of these! Some people use them to cover their walls. Other uses are table runners, placemats and room dividers. Natural Coco Grass Mat - as a welcome mat. 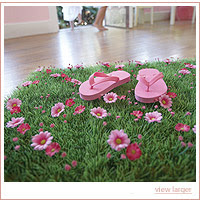 I don't think you're looking for this Butterfly craze grass mat, but think it's pretty cute. Snap several pieces together to create a large area. 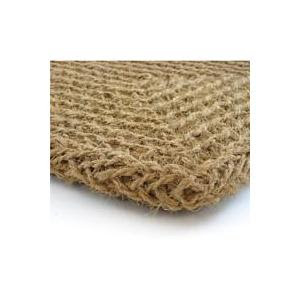 Nextag offers a large selection of bamboo grass mats.